I am confused. I don’t get the branding. Windows RT, or Windows Surface RT, the Operating System or Microsoft’s own tablet device (where Microsoft competes with OEMs)? We do know “Windows NT”, the server and enterprise operating environment from Microsoft, where I guess NT stood for the next/new technology kernel of the operating system. But what does RT mean? Dennis E. Hamilton says RT stands for “Retweet”, the legacy method of relaying twitter messages. I was aware of that of course, but… Wikipedia says there is no official explanaition! RT means RT. Apparently “Windows RT” IS a special version of Windows 8 for the ARM processor architecture. Surface was the amazing study for an interactive multi-touch table (which actually went into production), and inspired an entire new generation of tablets and devices. The Surface table was cool, so they somehow attached the brand to their (arm powered?) tablet pcs aimed to compete with the iPad. My take: If you port Microsoft Windows (x86 processor architecture) to ARM processors, you may come up with a nice brand like Microsoft ARMSTRONG. What you don’t do with brands is spam your multiple brands to multiple devices and platforms. In fact, it is the original meaning of SPAM. Microsoft’s marketing concept is platform: you kind of distribute 10 000 zune clippy mouse pads then you claim that these 10 000 devices strengthen your zune clippy platform and are in productive use. Still, the branding strategy gets me deeply confused and I guess I am not the only one. It’s not 1998 anymore. Once consumers find out that their x86 software won’t run on ARM processor powered devices the whole brand spam may heavily backfire. Dell executives asked Microsoft CEO Steve Ballmer to reconsider using the Windows RT branding for its ARM-based version of Windows 8, noting that the name would confuse consumers into believing that the OS could run Windows applications. This is of course exactly what happened. You could also manually edit the kwinrc file in .kde. 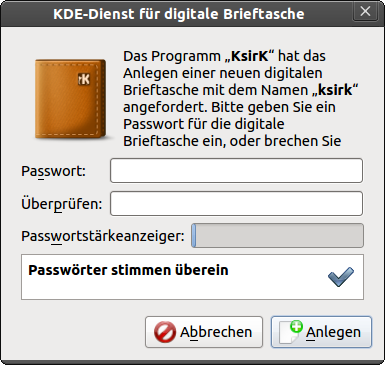 Die KDE Testing Arbeitsgruppe härtet gerade das Release 4.9, das nach Plan schon heute draußen sein müsste. Dazu haben sie neulich in Anlehnung an die “Papercuts” von Ubuntu die Initiative Extra Mile aus der Taufe gehoben. Mit “Extra Miles” sind Kleinigkeiten gemeint, die man ohne viel Entwickleraufwand (also weniger als ein Tag) beseitigen kann, und spürbar dazu beitragen, dass der Anwender sich gut aufgehoben fühlt. Very interesting petition from a French citizen. What strikes me is that the petitioner asked for regulatory changes while the Commission in its answer restricts itself to positive law, positive competition law. The petitioner claims that foreigners living in France could only purchase laptops/notebooks with operating systems in French. He criticizes the lack of options and argues that this situation would cause serious problems to EU citizens who work in France, but do not have a good command of French. He explains that the situation would be similar in other EU Member States (Germany, Portugal). He requests that the European Parliament take measures to have companies like Microsoft or Acer end this restrictive practice. Declared admissible on 15 November 2010. Information requested from Commission under Rule 202(6). 3. Commission reply, received on 11 February 2011. The Petitioner complains that he can only buy a PC with a Windows operating system in the language of the country where he is located, namely France. He also explains that the situation is the same in other Member States. He argues that this situation can create problems for citizens living in France but not having a good command of French, and discriminates against these citizens. The Petitioner would want to have the option to set the language of the Windows operating system. He finally requests that the Parliament takes measures to have companies like Acer or Microsoft end these restrictive practices. In view of the lack of any substantial information pointing to an infringement of the law of the European Union, the Commission considers that it is not warranted to launch, at this stage, any further investigation. On 8 February 2011 a review of the free software program ‘Ubuntu’ was broadcast on ‘Gratis og helt Ubuntu’ in the programme ‘so ein Ding’ on the Danish TV channel DR2*. According to the review, the software program Ubuntu was quite satisfactory and considered to be comparable to Windows and Mac OS. But when users buy a computer in the EU, Microsoft is preinstalled. Users therefore have to remove the preinstalled Windows in order to install Ubuntu. This means that they are not free to choose which software program they want to install and use on their computer. Tying two separate products may have an anti-competitive exclusionary effect on the tied market, because it can reduce the number of potential buyers in the market for the tied product (see TFEU Art. 102(2)(d)). In a related case — T-201/04 of 27 September 2007 — the Commission found that Microsoft had abused its dominant market position in PC operating systems by tying Windows to Windows Media Player. This leads me to ask the Commission if it believes that, or will consider whether, the sale of computers with preinstalled Windows hinders competition as regards software programs? If so, will the Commission then consider putting an end to the preinstallation of Microsoft Windows on computers? Microsoft’s behaviour could infringe EU competition rules if Microsoft were to implement anticompetitive agreements that foreclose competition or abuse a dominant position on the relevant market(s). It should be noted that Microsoft is not present on the PC hardware market. It is primarily the Original Equipment Manufacturers (OEMs), who act as intermediaries on behalf of end users, and provide them with an “out-of-the-box” product, by combining PC hardware, client PC operating system and applications for which there is demand. The Commission is aware of the difficulties encountered by consumers who want to purchase a PC with a non-Microsoft operating system or without any operating system at all. At the moment, the Commission is however not in possession of evidence suggesting that this is the result of practices in violation of EU competition rules as laid down in Articles 101 and 102 of the Treaty on the Functioning of the European Union. The Commission will continue to monitor the developments in this field so as to ensure that competition and a level playing field are preserved amongst all market players. Winsupersite found more “ribbons” for Windows 8? Personally I don’t find the ribbons menu convenient at all but they try to develop explore ideas for desktop experience.